The Delta Iota Chapter of Sigma Kappa was brought to the Chico State campus in the year 1959. 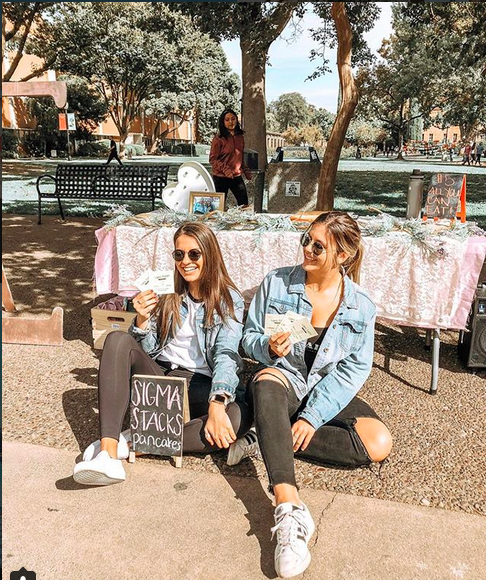 Since then the chapter has grown and become one of the largest sororities on campus with roughly 190 current members and growing. Our Chapter’s house is located on the corner of 4th and Hazel in Downtown Chico, and home to 18 of our sisters. The women of our chapter all share our devotion to our friendships, to our clubs and organizations, and our amazing university as a whole. We continue to strive to maintain strong relationships with our faculty and administration here at Chico State. Our sisters are very active on campus and uphold the notion that we are scholar’s first and sorority women second. We encourage academic excellence at our scholarship banquets each semester to acknowledge our sisters who have received 3.0+,3.5+, and 4.0 grade point averages. The Delta Iota Chapter is known for our outstanding fundraising abilities, raising over $23,000 for our local Walk to End Alzheimer's as well as over $5,000 to the Chico Cares Campaign. We also are heavily involved in campus activities such as Greek Week, defending our winning streak the past couple years. As a chapter, we participate in spring formal recruitment, held each year by the Panhellenic Council at Chico State University. Sigma Kappa has set the standards for leadership, service, and personal development, and we are proud of what makes our chapter unique!